What does it mean to be a leader in the GIS profession? It depends on who you ask. There are many ways to lead. One can lead in a tangible manner by overseeing a company, a project, or a team. Such leaders typically have positions with "manager" or "director" in their job title. To become this type of leader, you need to achieve a particular set of milestones related to education and experience. Thought leadership is a harder concept to define. My favorite descriptions of thought leaders: "individuals with the ability to aggregate followers around ideas to educate, influence, and inspire" (Jeanine Moss) and "the go-to person [who] journalists want to quote and companies want to hire" (Social Strand Media). Thought leadership has more to do with attitude than the number of years of experience, making it much more accessible for individuals at the beginning of their careers. You can be a thought leader if you are a student or intern, an entry-level employee, or a seasoned professional. There will always be people both ahead of and behind you. The key is to learn how to inspire others no matter where you are on the career ladder. My own role models range from professionals with decades of experience to students taking their first GIS class. They may seem different on the surface, but they have quite a bit in common. They have a vision for the future and passionately pursue it. They generously commit their time, energy, and resources. They actively participate in knowledge exchanges. They go the extra mile to both identify and fill in gaps. Lastly, they both challenge others to think big and empower them to follow through. The pathway to becoming a GIS thought leader is cyclical. At the beginning, you may not consider yourself a member of the GIS community. For example, you may describe yourself as an environmental scientist instead of a GIS professional. Our field is complex in that many GIS professionals apply their technical knowledge in fields like energy production or health care. Once you identify yourself as a member of the GIS community, you need to recognize that you have an obligation to contribute to it. Next, you need to educate yourself about the existing "infrastructure," like major players, best practices, professional organizations, and professional development resources. Then you can apply your own talent and skills to fill in gaps. You complete the cycle by inspiring others who don't currently participate to begin the cycle themselves. Build Topology—Topology represents connections and relationships between features. Successful leaders build meaningful connections in the GIS community. Your network will provide access to advice, information, and opportunities, as well as a shoulder to cry on when you get the generic, dreaded, and inexplicable "999999—Error executing function" message in ArcMap. Based on LinkedIn, most GIS professionals are related by only two degrees of separation. It's not that difficult to expand your relationships exponentially by focusing on a few strategic connections. Spatial Join—The spatial join tool uses location to bring together many pieces of information. Joining a local, regional, or national GIS organization is one of the best ways to rub shoulders with peers and leaders, access professional development materials, and learn about specific ways you can help build the community. The GIS Certification Institute website lists a wide range of GIS professional groups. Esri supports a variety of user groups. You can also participate in virtual GIS communities using social media sites like LinkedIn and Facebook. 3D Viewshed Analysis—Viewsheds describe the extent visible on the landscape from a given location. As an individual, it's difficult to see the big picture on your own. You can expand your perspective by linking up with people higher up the proverbial mountain or career ladder. The importance of having a mentor cannot be overemphasized. Choose a few different people who can challenge and inspire you in multiple dimensions. For example, someone with great technical skills will provide value in a different way than someone with great interpersonal skills. Service Pack—Service packs contain the latest code to constantly improve the performance of Esri software. GIS leaders need to be lifelong learners to keep up with constantly evolving technology. There has never been a better time to educate yourself from the comfort of your couch or office chair by enrolling in online continuing education classes or attending webinars. You can also attend live workshops at conferences or courses on a campus near you. 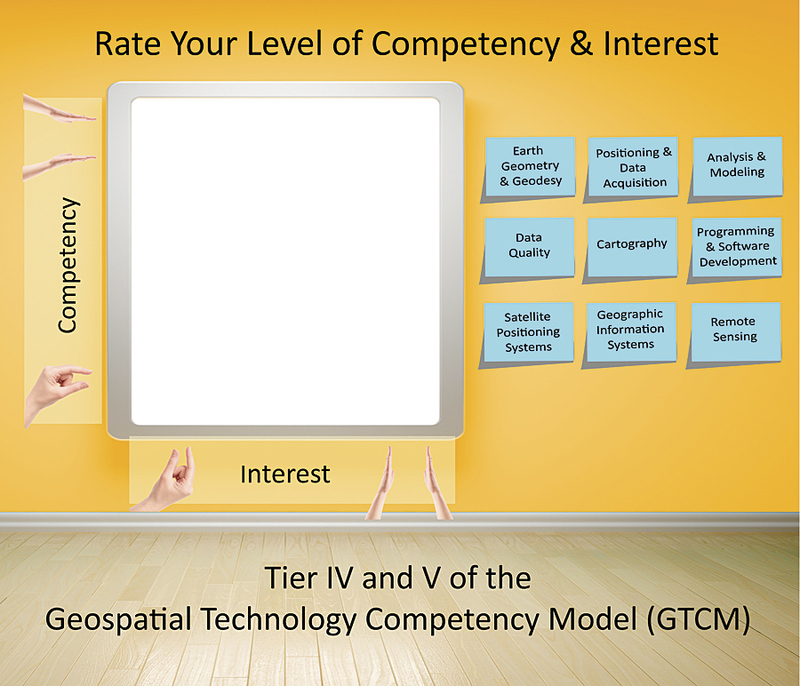 Easily rate your level of achievement and interest against GIS industry standards using the tools at EmergingGISLeaders.org. Least-Cost Path—The least-cost path tool calculates the cheapest route between two points based on cost surfaces. Effective leaders don't typically follow the least-cost path. Leadership demands time, creativity, energy, and money. You may have to pay membership dues, take vacation time to attend a conference, or work nights and weekends to organize an event. I like to consider these expenses as investments in the future—both mine and that of our profession. Geoprocessing Tools—Geoprocessing tools transform an input into something more useful for a particular application. In this case, the inputs are GIS events, resources, best practices, policies, and news. The outputs are your opinions, suggestions, or contributions that add value in some way. Are you good at programming and creating applications, designing graphics, writing, building relationships, organizing logistics, creating buzz, etc.? Find a way to apply these skills to help build the GIS profession and community. My contribution is EmergingGISLeaders.org, a grassroots effort to intersect, empower, and engage aspiring GIS professionals. The website provides links to professional development resources, tips to get connected, a platform for young and new professionals to share ideas, and tools to help you get started. 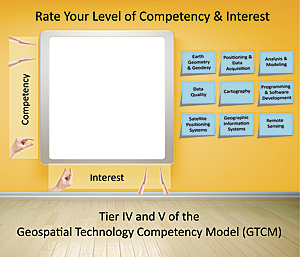 The latest tool helps you assess your achievement and interests against the GISP Certification requirements; the Geospatial Technology Competency Model; and resumé, portfolio, and networking advice from experts in the field. 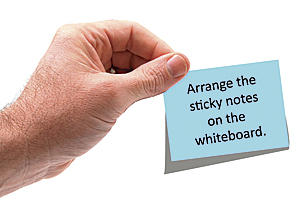 It also helps you prioritize action items and create a follow-up plan. Like Esri's ModelBuilder, you can create a visual plan that can be easily updated and shared with others. Create a vision for your future and track your progress. What will you contribute to the GIS community? Rachel Kornak is a certified GIS professional and has been a member of URISA's Vanguard Cabinet since January 2011. She created Emerging GIS Leaders to help aspiring GIS professionals find a path to success. Kornak is the lead instructor of Environmental Applications of GIS, an elective in Penn State University's online MGIS and GIS certificate programs. Special thanks go to Joy Adams (AAG), Greg Babinski (URISA), Ryan Bowe (URISA Vanguard Cabinet), Betsy Breyer (Portland State), Phil Davis (GeoTech Center), David DiBiase (Esri), Carrie Drake (USGIF), James Fee (WeoGeo), Jean McKendry (AAG), Anthony Robinson (Penn State), and Carlos Silva (URISA Vanguard Cabinet) and to Rich Serby (GeoSearch). For more information, contact Rachel Kornak, GISP.